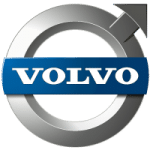 Volvos are known as the safest cars on the road, but when you need new keys made for your car, it can be a bit of a hassle. Usually, you have to go directly to the dealership to have your keys copied or replaced or to have your key fob fixed. Because dealerships are only open during certain hours, this can be a bit of a pain. Thankfully, Door N Key Locksmith is able to copy your Volvo keys or replace them if they’ve been lost. Because we’re open during all hours of the night, you don’t have to wait until the morning to have working keys. With the fastest 24 hour mobile service in the locksmith business, there’s no reason to go anywhere else to have your Volvo keys made. We’ve been in business for more than a decade, and we know what it takes to copy and replace your keys. Even if it’s the middle of the night, simply give us a call and we’ll send an expert out in a fully loaded van to take care of any of your issues. We’re known as the best locksmiths around for a reason. Give us a call and find out why for yourself!